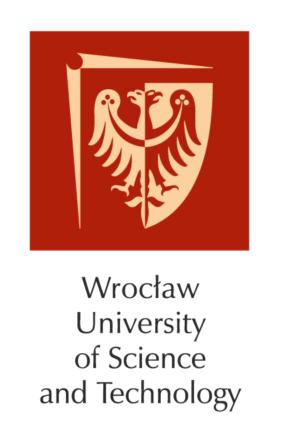 Wroclaw Report is now available! Please follow the link to reach Workshop Report! ISOCARP in partnership with ITACUS have recently made an agreement with the Mayor of Wrocław – The European Capital of Culture 2016 – which entails a Young Planning Professionals (YPP) – Young Professional’ Think Deep Program (YPTDP) Workshop, intended for both Polish and international young planners and infrastructure specialists. The intention is that this workshop continues the line of activities leading towards producing a set of case studies contributing towards in-depth analysis of interrelations between city planning focusing on urban design and efficient infrastructure use and provision. This workshop is at the same time a part of the ISOCARP’s Young Planning Professionals’ Program, which since 1991 has been bringing together young professional urban planners from all parts of the world. The YPP Workshops provide an opportunity to work together as a closely-knit team. The workshops are hands-on and aimed at establishing a good working relationship with young colleagues from all parts of the world, while working towards results in a very short period of time. Within the framework of the YPP / YPTDP Workshop it is intended to bring together a group of 20 Young Professionals (up to 35 years old), both of Polish origin and coming from abroad. This group will include 12 urban designers / planners / architects and 8 civil engineers / underground space specialists (such as geologists, hydrogeologists, infrastructure/transport engineers). The workshop aims to provide young urban planners,urban designers and infrastructure specialists responsible for, or participating in shaping and planning cities an excellent case study which would give them an opportunity to practice new urban ideas with special focus interrelations between the quality of urban space, connectivity and land use within the framework of compact city and efficient infrastructure provision. The objective of the workshop is to provide the workshop participants with hands-on practical experiences. YPs work in a studio setting under the guidance of three experts from among the members of ISOCARP and ITACUS on a project site chosen jointly by ISOCARP, ITACUS and representatives of the local partners from the Municipality of Wrocław, Wrocław University of Science and Technology, Society of Polish Town Planners, Society of Polish Architects and Chamber of Architects. They will be accompanied by the ISOCARP Vice President responsible for the YPP program. The site focus of the workshop is a key development priority area for Wrocław, and it is intended that the workshop outputs will provide new ideas of the comprehensive (strategic) urban development approaches for shaping the new urban district which the host city can endorse or take on. Understanding how to develop a new urban structure which would help to achieve a more balanced and sustainable development using the comprehensive approach is a key current topic for the city. The theme of the workshop is in line with the aims of other major development plans of the city. The beginning of the 20th century was revolutionary in nearly every European city, yet Wrocław (then Breslau) is a case of „urban laboratory”, where different kinds of urban innovations have been tested. On the one hand „great urban projects” driving a lot of urban visions until now, like Centennial Exhibition with its iconic building — the Centennial Hall (more at: http://halastulecia.pl/en/) have been conceptualised and implemented. On the other hand „social innovations” like the concepts of affordable housing, the model of urban neighborhood, open spaces for citizens have been examined. A good example of these models for new urban living would be WUWA (“Wohnung und WerkraumAusstellung” – Living and Work Space) — the model housing estate built for the great exhibition in 1929. In 2012 Wrocław was one of the hosting cities of the football championship EURO. One of the major investments linked to this event was the new Municipal Stadium, located on the motorway junction. This Stadium is perfectly served by public transport: trans, buses, trams. The city hopes for using this huge public investment to attract new development to the area. In doing so the Municipality of Wrocław decided to develop a project, which aims at giving new impulse for generating new urban structure. This new urban structure will -in the intention of city- overcome spatial fragmentation of the western part of the city. Additionally, this project is supposed to serve as a good practice for designing new urban structures. The central idea of this project is to continue the tradition of progressive model housing neighbourhoods in Wrocław (like for example WUWA) and -together with developers and social partners- design a housing neighbourhood (called NoweŻerniki) which would meet the expectations of the people living in the 21st century. The City contributed to the project with 40 hectares of land located on the diagonal side of the motorway junction to the Municipal Stadium. The Chamber of Architects organised the process of designing the new neighbourhood. The first phase of this project is under construction. 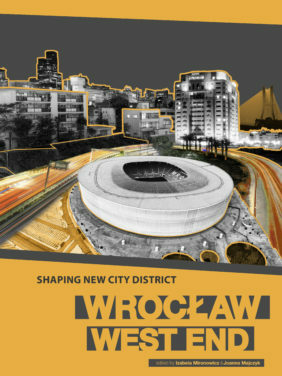 Starting from these two new investments: Municipal Stadium and NoweŻerniki the task would be to define and design a new, efficient urban structure of the western district of the city of Wrocław. Broadly speaking, the study area stretches from the motorway bypass (this however allows to take into account the areas located along the motorway, on the east side of the motorway) and Odra river to the administrative boundaries of the city. The workshop is targeted at junior Polish and international professionals (up to 35 years old). They come from various backgrounds such as spatial planning, architecture, civil engineering and real estate management. Most of them have professional degrees and a few years of practice. It is intended that the workshop will gather 20 YPs, including 12 urban designers / planners / architects and 8 civil engineers / underground space specialists (such as geologists, hydrogeologists, tunnel and geotechnical engineers). Each participant will spend 6 days in Wroclaw and work with the YPP group during May 15th – 20th 2017. Before and after, there may be a necessity of conducting meetings with local hosts and press. Therefore, participants should arrive 14th May 2017 in the afternoon/early evening at the latest and leave on 21st May 2017. Accommodation (shared twin rooms), local public transportation and half board will be provided on site by the organizers. In addition, ISOCARP will provide 10 international travel allowances for selected participants (up to 100 Euro for the round-trip and other associated costs for candidates coming from underprivileged countries). 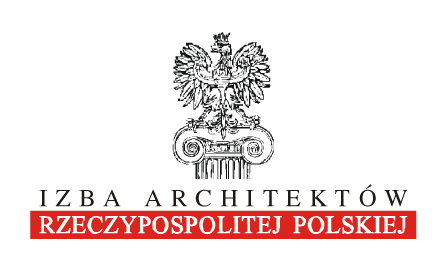 APPLICATION FOR THESE ALLOWANCES HAVE TO BE SENT IN A SEPARATE LETTER ALONG WITH THE FORMAL APPLICATION AND FORWARDED DIRECTLY TO ISOCARP VP YPP PIOTR LORENS: plorens.pg@gmail.com. The tickets for the participants who would be granted this allowance shall be purchased by the participants themselves. The allowance will be paid by ISOCARP office on the basis of original travel documents (including originals of the travel tickets, invoices, boarding passes etc.). ANY ADDITIONAL COSTS HAVE TO BE MET BY PARTICIPANTS THEMSELVES. ISOCARP HAS A LIMITED BUDGET FOR THIS ASSIGNMENT. ISOCARP will provide allowance forms, which shall be filled to get the refund after completion of the task. If necessary, the Municipality of Wrocław along with other Polish partners will provide assistance with the visa procedures. Departures should be scheduled on 21st May 2017. Workshop participants are welcome to stay in Wrocław / Poland longer. However, expenses for additional time spent in Poland beyond the time required for the workshop have to be borne by the participating members themselves. Both ISOCARP and ITACUS should timely be informed on such an extension. PLEASE DISCUSS YOUR TRAVEL PLANS IN ADVANCE WITH VP YPP Piotr Lorens. The call for WORKSHOP PARTICIPANTS is open to YOUNG PROFESSIONALS irrespective of their citizenship / country of residence. Candidates should have basic planning / design / engineering skills. successful candidates should have a background in engineering OR in planning, urban design, social sciences, real estate and/or regional economics, geography, or architectural studies. It is required that the candidates are not older than 35 years old. An evaluation and final selection of candidates will be done by a Selection Committee including representatives of ISOCARP, ITACUS and GCC. Selected Candidates will be informed of their selection on April 25th 2017, after which they will have to confirm their availability and participation to the ISOCARP Head Office. Any questions regarding the topic, on-site logistics and travel arrangement should be sent to VP YPP, Piotr Lorens: plorens@pg.gda.pl, plorens.pg@gmail.com, phone: +48 605 433 885.